The payroll processing is one of the most outsourced jobs in the world. This is a great option for the small and medium business unit to focus more on the business rather than spending hours in the different documentation process, which keeps updating and amending from time to time and the making payrolls. SGCMS is one of the best payroll processing companies which provides you with the best and complete solution related to payroll processing. Why the Need to Outsource Payroll Processing India? Yes, it is true that you can also prepare payroll by yourself, but it is also true that preparation of payroll may not be as simple as it sounds like. You need to keep in account a lot of numbers and data for its preparation and a small error may attract huge penalties to your business. Not to forget that with evolution and changing in governances, many amendments are made in the laws, effecting calculations etc. Thus, it is always suggested to have a specialized team to create the payroll for the company. Large businesses have got the required sources to have their own payroll division, however, this is not possible for small and medium business and thus, the best way to process the payroll in a smooth way is to outsource the same to Payroll processing companies. To avoid penalties: – Compliance defaults and penalties are very common in the payroll process. Over 70% of the companies get penalized for compliance defaults. 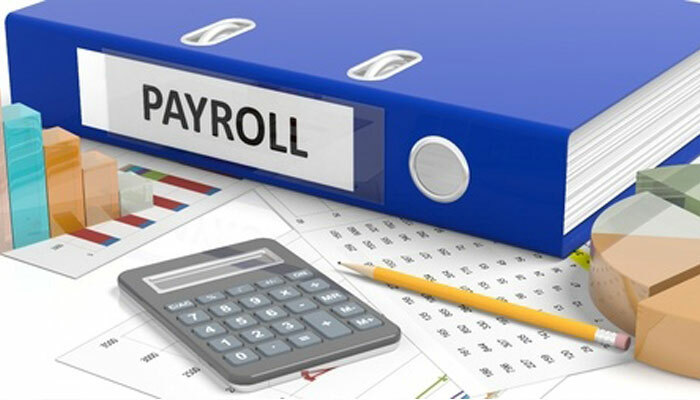 Preparation of payroll includes complicated calculations and you need to keep in mind about the frequent changes in the regulations of tax.The reputed payroll processing companies are less likely to make errors as they have got the complete expertise and experience in the specific field. That is their job and they are doing the same for numerous other Companies as well. Saves Time and Money: –The phrase “Time is Money” is very accurate for every business. But preparation of payroll may require a lot of your valuable time and money. When expert service of payroll processing is just a call way, then why to dedicate unnecessary time for it. You can use your time for the growth of the business. Along with this, don’t forget that even tiniest error may cause heavy penalties on the business. Thus, with outsourcing, you can also save money. Security of data: – The payroll process includes handling of several confidential & sensitive data. Thus, it is completely unsafe to keep such data at the risk of being compromised as, it will be for any third person to access the same. The best Payroll processing companies, like SGCMS, respects and understandings importance of personal information of individuals and therefore, provides for the best expertise and experience in the field of payroll processing, which enables it to provide with the utmost security of your confidential data, along with avoiding the chance of penalties, thus saving both, your time and money in the process.